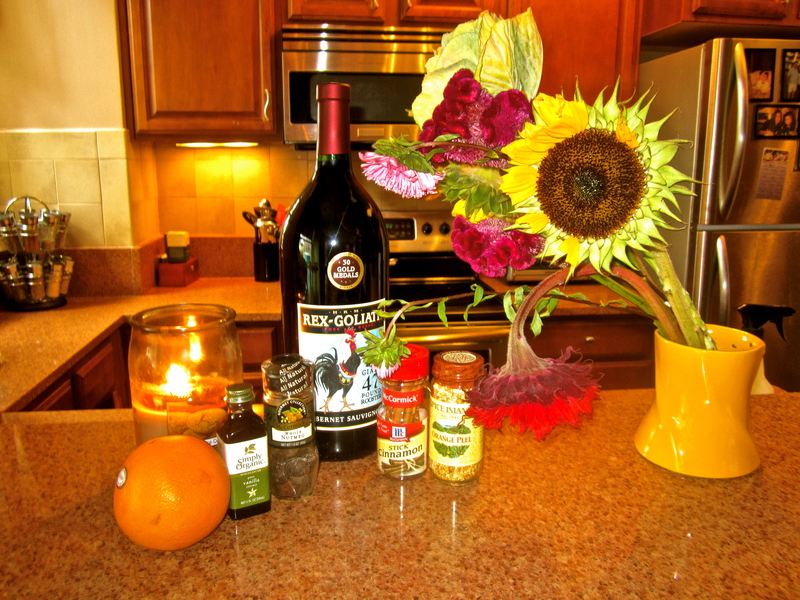 I was in Switzerland this past May and I met this wonderful woman from Poland who shared this recipe with me. It’s a common drink in Poland during the cold winter months. Hope you enjoy! 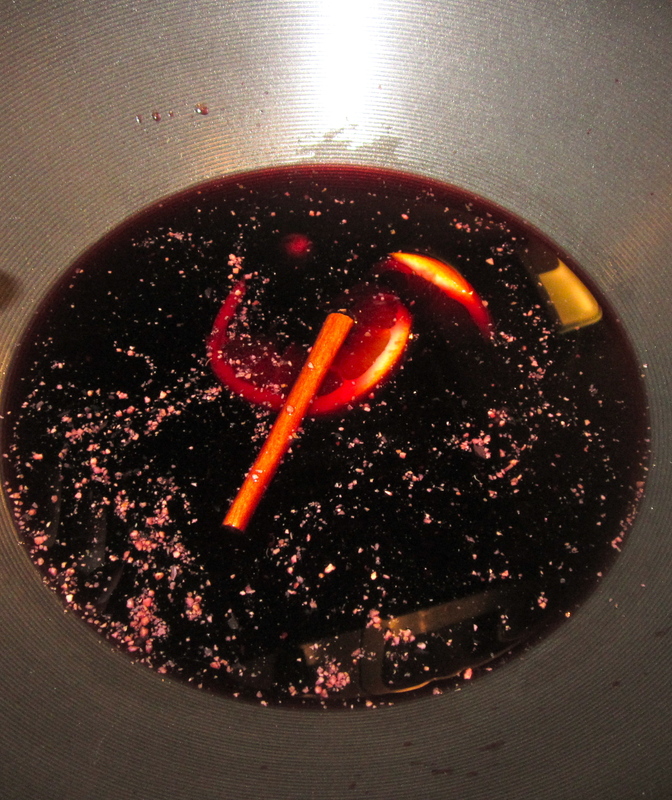 1) Pour the wine, nutmeg, cinnamon, honey, vanilla, orange rind and orange into a pan and cover. 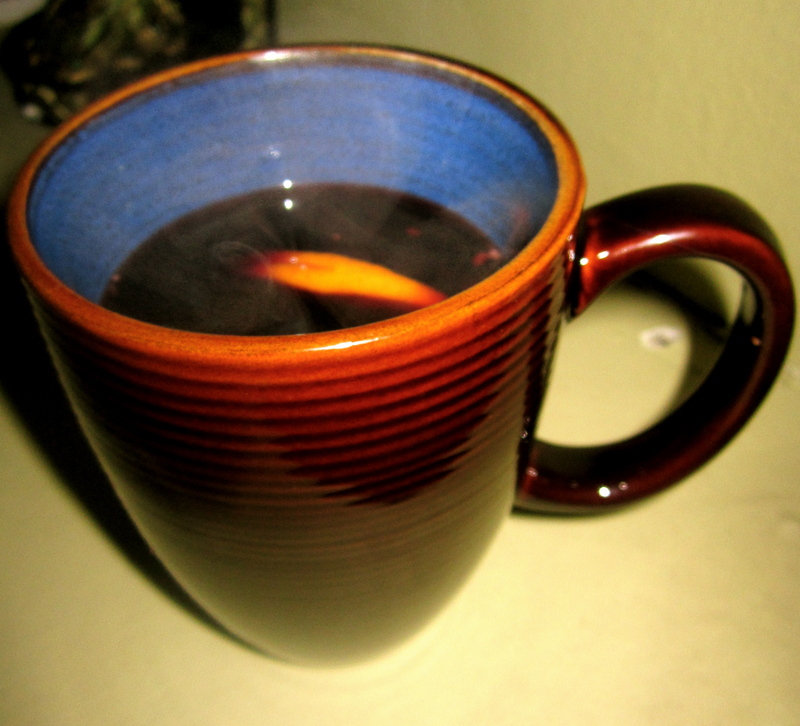 3) Pour into a teacup and get ready for bed!